Sharing a personal story… and my focus word for 2018! As an introvert I find myself going to great pains to avoid looking people in the eye when I’m out in public. I find it overwhelming to acknowledge the presence of all that humanity. Even the briefest look opens up a private channel between two people. In that split second you are connected. Extroverts find this thrilling, I find it terrifying. It makes me feel vulnerable and exposed. I read so much into that moment of connection. Do they smile (they accept me), do they frown (they are judging me), do they look away (I am not worthy). I feel that if I give them access to my soul via the gateway of my eyes, they will see my fears, my feelings of inadequacy. They will they see that I’m not perfect, that I’m an imposter. In truth, they’re probably feeling just as anxious and vulnerable as I am. They’re probably reading the same things into my responses as I do theirs. Their own fears and insecurities are whispering in their ear, just as mine are. I have learned to get through the day without exposing myself to the stress of too much connection. I maintain a smile and I look in the general direction of the person with whom I’m speaking but I avoid looking them in the eye. It feels too intimate. While this may work to keep my feelings of unease at a minimum when I’m out in the public, I can see that I must guard against it creeping into my interactions in areas where I actually want to develop connection. My coping techniques can quickly become a roadblock to genuine connection if left unchecked. 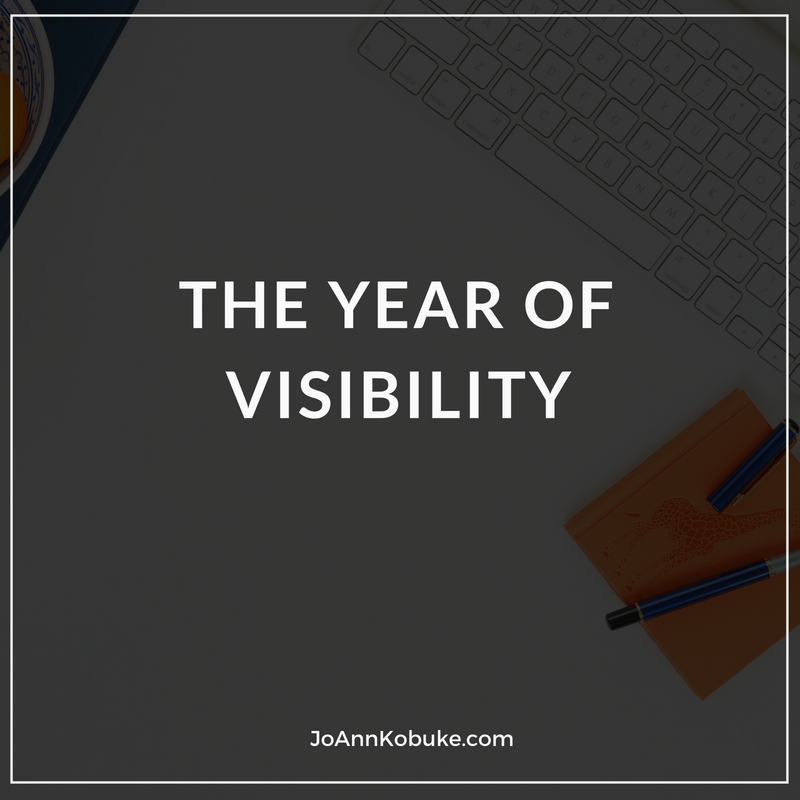 For the last year I’ve struggled with my conflicting feelings about visibility. On the one hand I know I need to become more visible if I’m going to accomplish my work, but I’m terrified that in doing so, I will also become more vulnerable. My goal for 2018 is to get comfortable being visible and connecting with people. In order to guide women safely home to themselves, I need to become a lighthouse, shining my light out into the world. This means I need to let women see who I am and how I can serve them. I’m committing to visibility even though I’m afraid of what it will bring. I realize that if I’m going to succeed at helping women tame their fears, I need to get mine under control first! My desire is to help women reconnect with themselves and confidently bring their gifts and talents into the world, and that desire to help trumps my own fears and insecurity. I am declaring 2018 a year of visibility for me, and it begins with this post. I will raise my eyes and allow connection to happen. Who knows what wonderful experiences that will lead to? I’m game for the adventure. What about you? 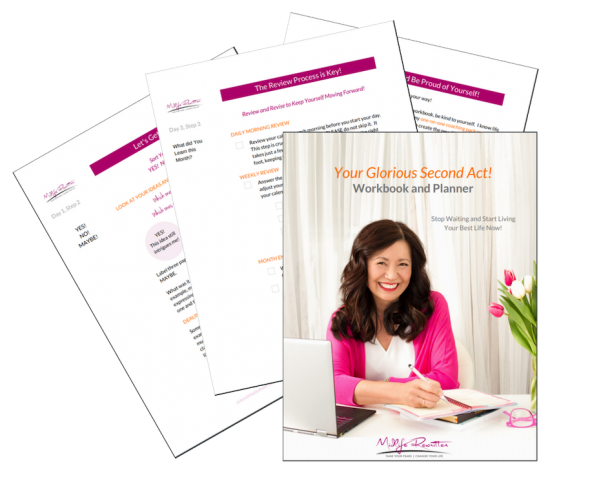 Plus other tips and strategies on busting fear, building confidence, and getting to live life on YOUR terms.